Battle the Imperfect for double rewards! Find Divayth Fyr's messenger in Mournhold's City Center and acquire the quest “To The Clockwork City"
Finally, if you’re entering the Brass Fortress for the first time, you’ll also receive the Scintillant Dovah-Fly pet completely free – even if you’ve gained access via the ESO Plus Free Trial! During the Clockwork City Celebration Event, you have another chance to pick up Event Tickets and acquire the second of the four Indrik Feathers needed to summon your very own Indrik mount. To earn Event Tickets during the event, complete the zone’s Daily Quests (located within the Brass Fortress). You will receive two Event Tickets from the first Daily Quest you complete each day in addition to the other regular rewards. Note that the Event Tickets are tied to the Daily Quest timer, meaning they’ll reset at 6:00AM GMT. Don’t forget, once you have acquired 10 Event Tickets, you can trade them in to the Impresario (located at a special booth in Daggerfall in Glenumbra, Davon's Watch in Stonefalls, and Vulkhel Guard in Auridon) for an Indrik Feather. For more information on acquiring the Nascent Indrik mount, check out our announcement article. If you don’t already own the Clockwork City DLC game pack, you can acquire it during the event for a discounted price. 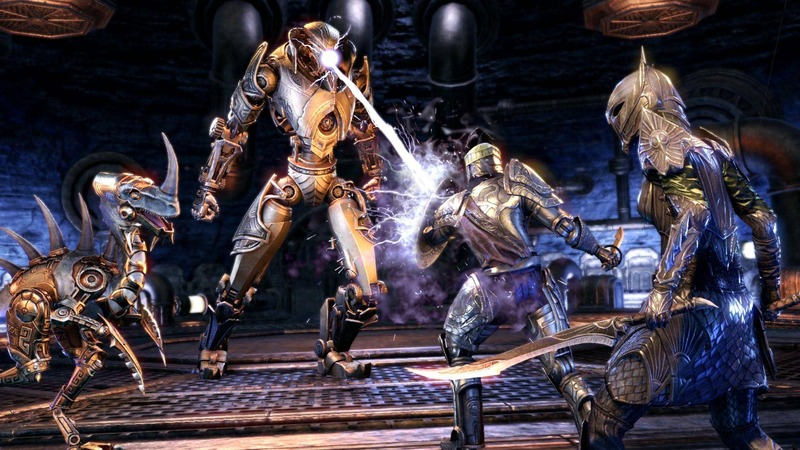 The standard DLC game pack will be on sale for 1400 crowns (30% off) from November 15 until November 27, and the Clockwork City Collector’s Bundle will be available for 2400 crowns (40% off) from November 15 until November 21. 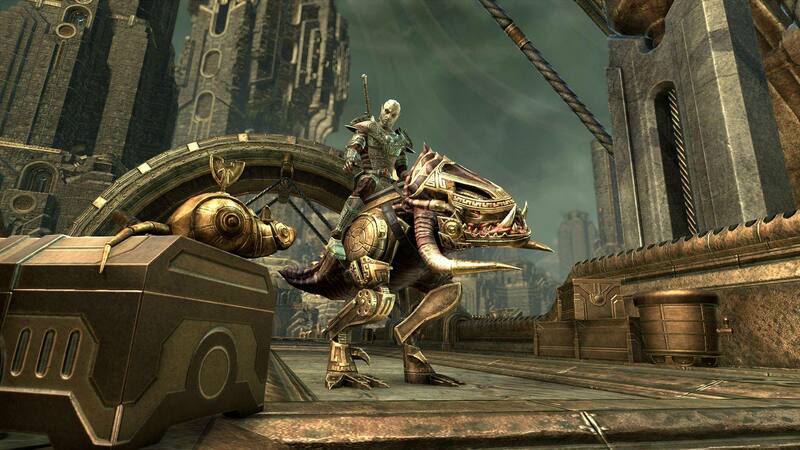 The Clockwork City Collector’s Bundle includes the DLC game pack, the Clockwork Skeevaton pet, the Kagouti Fabricant mount, and Five Crown Experience Scrolls. You can find both the base DLC game pack and the Collector’s Bundle in the Featured section of the Crown Store. Don’t forget, the ESO Plus Trial Event will also begin on November 15, giving you an opportunity to try out ESO Plus membership and gain access to the Clockwork City DLC game pack completely free! Find everything you need to know about the ESO Plus Trial Event in our announcement article. Hidden from the prying eyes of both mortals and Daedra alike, the Clockwork City is a realm outside of Tamriel designed and built by Sotha Sil himself. It is a place as mysterious as it is dangerous, filled with factotum servants and vicious fabricant monsters. Are you planning to return to the Clockwork City? Let us know on Twitter @TESOnline and Facebook! The Clockwork City Celebration Event begins on Thursday, November 15 at 3:00PM GMT and will run until Monday, November 26 at 3:00PM GMT.